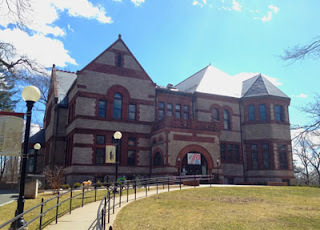 Forbes Library is excited to share the news that we have been chosen as one of only a few public libraries nationwide to receive the Community Webs grant, a two year Institute of Museum and Library Services funded program to provide education, cohort support, and technical services for public librarians. Many public libraries have active local history collections of physical materials, such as manuscripts and photographs, but the lives and activities of communities today are increasingly documented online via social media and the web. Archives are embarking on new methods and practices to preserve the histories of their communities as they happen. Digital content is, by its very nature, ephemeral. As Brewster Kahle, the founder of the Internet Archive, says “The average life of a web page is 100 days before it’s either cleaned or deleted.” The role of public libraries as a trusted community resource makes them well suited to be stewards of digital local history and community-focused web archiving. Through this IMLS grant, the Internet Archive has trained Forbes Library staff on using web archiving software to capture historically valuable web materials documenting our local communities, and provided the Library with five years of Archive-It software and permanent digital storage of content preserved. Forbes Library plays a unique role in our community because of its resources, staff and programming capabilities, and our ability to act as facilitator for collaboration with a range of partners in the community. We have had great success digitizing and sharing our collections on social media and the web, expanding our programming to meet the diverse interests of our patrons, and becoming a focal point for collaborations in arts and media. We are now positioned to preserve the digital record and history of our community. We are excited about this opportunity and look forward to collaborating with community members and a nationwide network of public librarians to preserve, for the benefit of future citizens, the history being made every day in our region. What on the internet today should be preserved to best reflect our local community for future citizens and researchers? We invite the public to visit https://forbeslibrary.org/web-archive/ with ideas for particular subjects or websites you think we should consider including in this web archive.